Getting around with React-Navigation V2 is quite a bit different from V1. Well – ok its totally different. That’s a good thing – there were some pretty limiting factors with V1 of the package. Controlling the flow of your screens and your options for new kinds of structures are definitely enhanced. In this post I’ll take a look at what’s new and what gotchas exist (yes they always exist!). 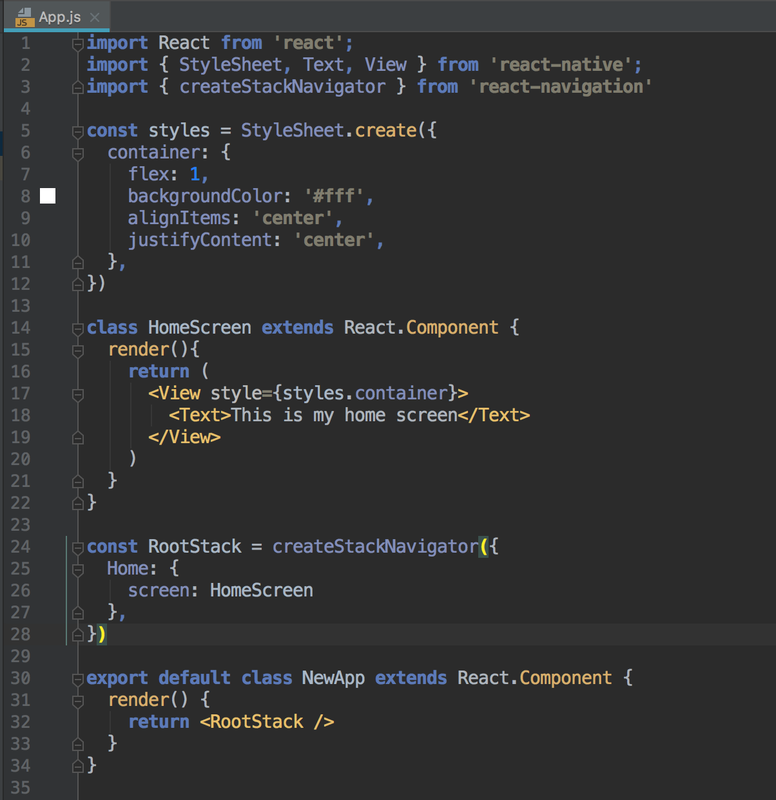 In those articles I’ve covered most of the basics for working with React, in particular how to setup a machine for working with the basic tools. This article will be building on those basics. 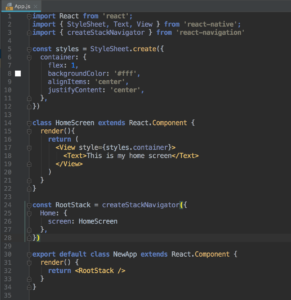 The best place to start is of course React-Navigation V2’s docs, but I found these to be somewhat confusing, thus this post. Be sure to see the links at the bottom of each page to the code they have produced – I missed that completely. push: Loads a new copy of the route even if it already exists. 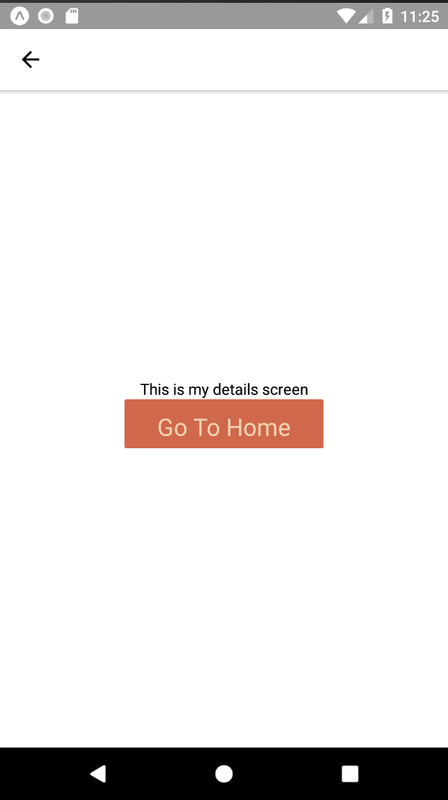 popToTop: Will take you back to the initial screen no matter where you are currently. 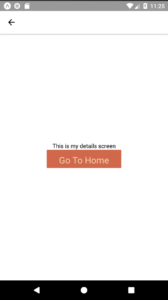 Navigating to ‘Home’ (the main screen in your app) also seems to clear the screen state similar to popToTop(). There are a bunch of fine details on the options for StackNavigator here. Some decent code examples to show exactly how to structure all the props. Definitely gets to be pretty nasty finding the one missing comma or brace. A decent IDE is definitely required. I’m using Jetbrains PHPStorm, but there’s a bucnh of decent ones out there. Tabs are usually a necessary evil. 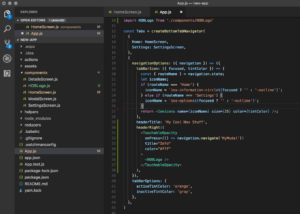 Especially helpful for getting quickly to the one or two super critical functions in your app, learning how to combine TabNavigator and Stack Navigator is super important. It is fairly easy to add tabs, however there are some side effects. When I added tabs it now “hides” the headerRight icon I had in my HomeScreen. I tried moving this to the tabNavigator along with the headerTitle. The header title works, but the icon does not. Unfortunately then the headerTitle sticks and over-rides the titles on the headers of screens down the stack too. I’m still working with this – I’m sure there is a solution – but I’ll have to follow up on this. No doubt V2 is a big improvement. There were things like “popToTop” missing in V1 that really were huge omissions in making a great app. Lots of gaps closed and I have to really compliment the authors of all the documentation. Really nice work. 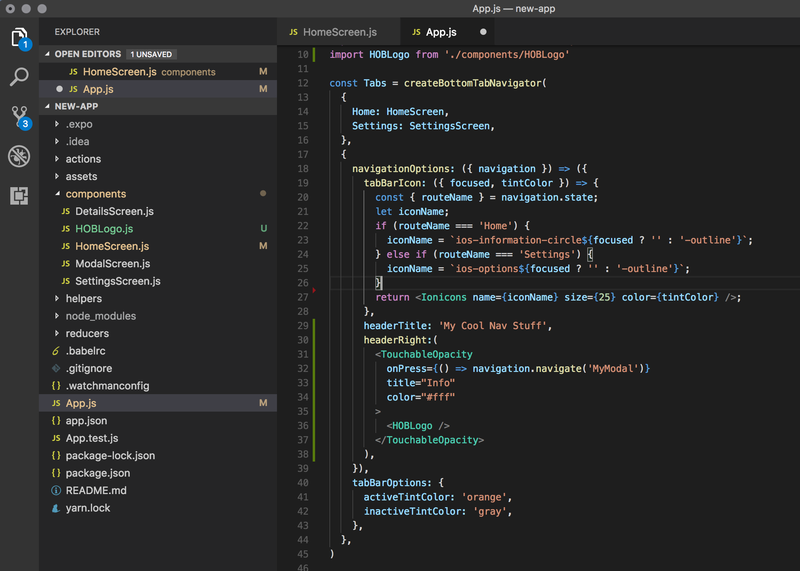 My best tip is that if you want to learn this stuff, really sit down for a day and run thru the documentation and build out all their code yourself. Very helpful in terms of really retaining how this all works. Tip #2 – build apps like a maniac. Practice makes perfect. My code is on github.com if you want to check it out here. Be kind 🙂 – I’m still learning and will continue to play around with different options, in particular how to combine Stack, Tab, and Drawer navigation packages.